A main degree requirement on all students in graduate programs in the College of Liberal Arts is the completion of a culminating project, such as a thesis and oral defense thereof, or a final comprehensive examination or portfolio. Masters theses are original academic disquisitions on a problem or issue of disciplinary interest, or other significant creative work. Compositionally, they explain the significance of the undertaking, normally by stating the major assumptions and reviewing the relevant literature, and then elaborate on the methods of data collection and analysis of evidence, develop and critique the appropriate logical inferences and argumentation, and offer conclusions or recommendations for future work. Students may not enroll in thesis or exam coursework until advanced to candidacy. For further information about thesis projects, course units, and committee membership, including chairpersons or directors, please review the university thesis requirements. For information about comprehensive examination or portfolio projects, please review the university exam requirements. 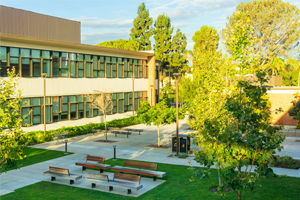 The University’s Thesis & Dissertation Office is housed on the 5th floor of the CSULB Library in Room 501. There are numerous resources to help graduate students with the composition of their theses. Most importantly, please consult the University’s formatting guidelines, as it details all formatting rules and requirements, and includes protocols for electronic submission. Various templates have also been provided, including the template for the thesis signature page, as well as Department-specific style guides. The Thesis Office also offers consultations for students prior to submission.